Super Junior become tourists and take time to enjoy their trip in Japan in another 'SJ Returns 2' teaser! The 4th teaser for Super Junior's 'SJ Returns' season 2 is here! In teaser #4, the Super Junior members split off and enjoyed a tourist-like trip of Japan! 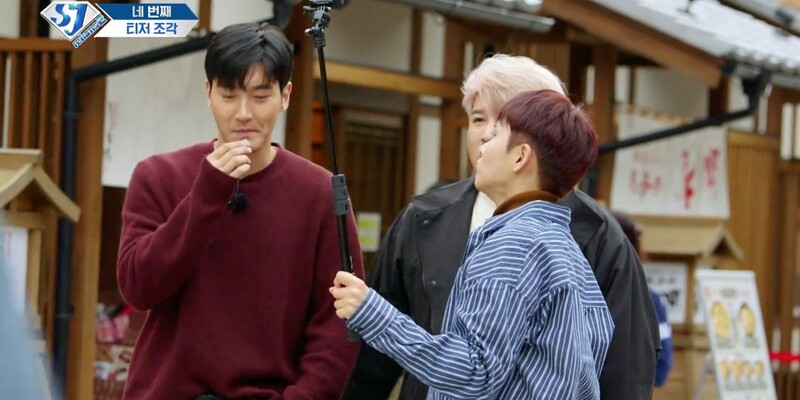 The hyung line featuring Leeteuk, Heechul, and Shindong can be seen wandering a more urban shopping area of Japan, while the dongsaeng line Shindong (again), Siwon, and Ryeowook seem like they're visiting a more traditional area. Wonder where Donghae and Eunhyuk are? Unfortunately, it seems that Yesung wasn't able to join in on the majority of filming, due to other schedules. Even more teasers on their way before 'SJ Returns 2' premiere on November 5 at 11 AM KST! Harry Styles and DJ Snake attend Black Pink's concert in LA!